"Rumors had been whispered for more than a year. Outrages that had been accumulating all along took shape as evidence. A mother was knocked down the stairs by her cold-eyed daughter. Four damaged infants were born in one family. Daughters refused to get out of bed. Brides disappeared on their honeymoons. Two brothers shot each other on New Year's Day. Trips to Demby for VD shots common. And what went on at the Oven these days was not to be believed.... The proof they had been collecting since the terrible discovery in the spring could not be denied: the one thing that connected all these catastrophes was in the Convent. And in the Convent were those women." 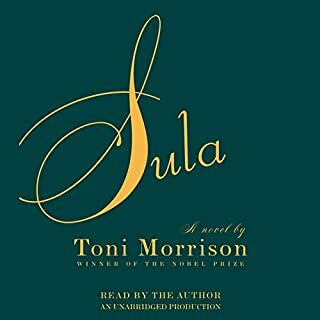 In Paradise, Toni Morrison gives us a bravura performance. As the book begins deep in Oklahoma early one morning in 1976, nine men from Ruby (pop. 360), in defense of "the one all-black town worth the pain", assault the nearby Convent and the women in it. From the town's ancestral origins in 1890 to the fateful day of the assault, Paradise tells the story of a people ever mindful of the relationship between their spectacular history and a void "Out There...where random and organized evil erupted when and where it chose." Richly imagined and elegantly composed, Paradise weaves a powerful mystery. 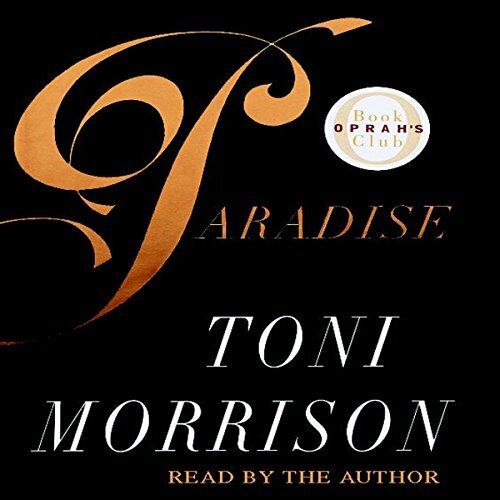 I read Paradise with my book club. Many had a difficult times making sense of it. I had to listen twice myself. There are a lot characters and it is difficult to keep up with who is who. Over all it was an interestingly bizarre story that introduces you to the strangest group of people. 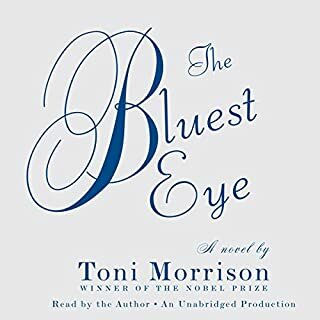 Morrison did make me curious about all these troubled people but it disappointed me by ending so with many unanswered questions. Morrison reading her own words gives deeper depth to the story. The attitudes of each character come forth from her deliberate cadence. It's so worth the 25 bucks. Not well spent because the story was abridged. I like to read the books alongside of the text. The author kept skipping over segments of the book. What was one of the most memorable moments of Paradise? The opening of the book will capture the listener/reader. "They shoot the white girl first." The author is the best reader for the project. Could you see Paradise being made into a movie or a TV series? Who should the stars be? I would love to see it in film. This story is very complex and therefore not a great candidate for abridgement. I read it multiple times in attempts to understand certain parts. There are numerous references in this version that go completely ungrounded since portions of the original which explained them are omitted. One example is the mention of the eye color of a lion cub that bit one of the characters in a dream. 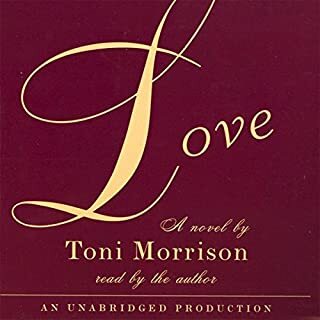 It's totally meaningless in this version of the book because the reader is not informed that it was part of a series of vivid dreams the character had been experiencing. It seems unnecessarily random without context. 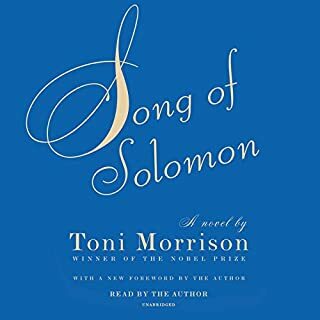 Toni Morrison is not an author that can be easily abridged effectively. Recommendation: If you're in a hurry to finish the book then maybe she's not the author for you. That said, I do not regret reading this version and do not suggest others avoid it. But I will warn that there will be concepts in the book that, no matter how many times a person reads (or listens to) this version of the book, are not possible to fully understand without referring to the unabridged version--a particularly troubling notion for me, personally, since I tend to seek full understanding of what I read, or as full as possible. Reading the full version after the abridged gave me an entirely new appreciation for the story. For some reason or another Morrison does not want to read all that she has written. It makes it difficult to follow along with the text, as she skips paragraphs at a time. The confusing thing is if she did not like these lines why write them? 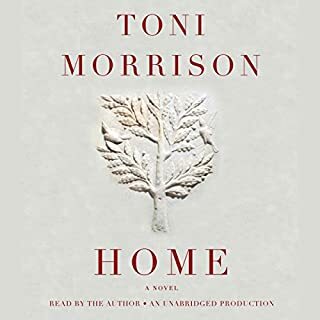 I was very disappointed in the reading of this book, she does not go word for word and even skips paragraphs and pages of the detailed information which made this EXTREMMELY HARD TO FOLLOW, AS if this story was not hard enough to catch on to. 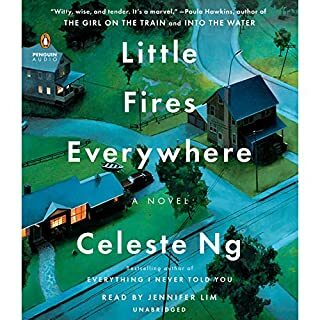 Needless to say I made it half way through and gave up entirely, not even curious how it ends because the end is in the 1st sentence. She seems brilliant as I heard her speak in an interview apparently she was simply a bit over my head. I just wish it was read word for word and not skipping around. But I enjoyed it.